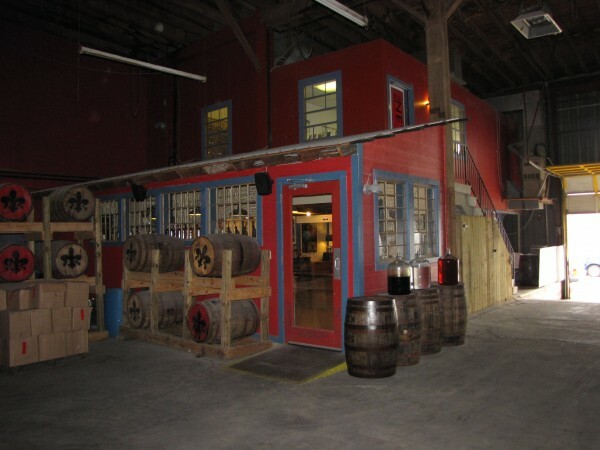 The barrels bobbing along the street came through the washed-away doors of the Old New Orleans Rum Distillery and though they started this phase of their lives as whiskey barrels, they now contained rum going through a similar aging process. Old New Orleans is the only rum produced in Louisiana, and one of fewer than two dozen distilled in the U.S. It was born during a party in 1995, the sort of party for which cities like New Orleans and San Francisco, and periods like the ’60s, became legends. Artist James Michalopoulos and some friends, mostly musicians and other artists, were talking, drinking and making music one night when the idea of producing their own spirits came up in conversation. Michalopoulos, excited at the thought, flush from a recent and successful trip to Europe to sell his paintings and familiar with the fruit-based spirits he had tasted there, promptly founded Celebration Distillation. 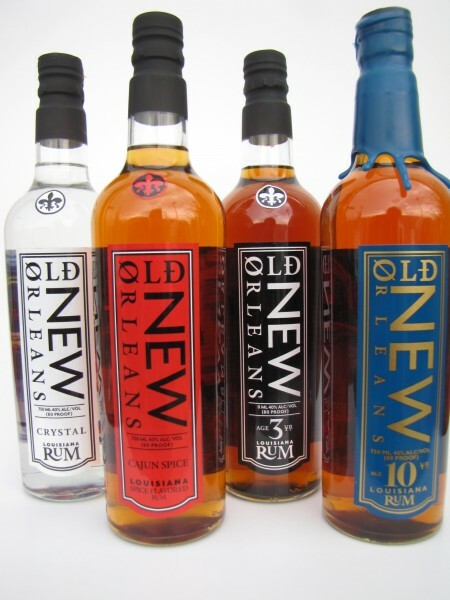 After several attempts and several years of trial and error, the first Old New Orleans rum came on the market in 1999. A dozen years later, there are distributors in New York, Illinois, Mississippi, Texas, and Colorado, with hopes of going nationwide. On a sun-baked afternoon, Schonekas led us into the cool, dusty, dimly lit interior of a former cotton warehouse where the water was eight feet deep at the height of the flood. The occasional throb of an engine and the whirr of fans was the only noise above our conversation. 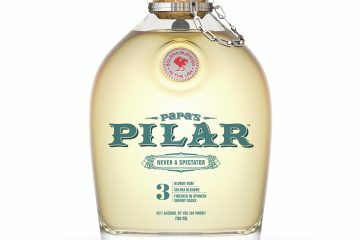 The history of rum goes back to the 15th and 16th centuries, in the Caribbean islands, and it was the first spirit distilled in the Americas, even when it was an English colony. Early Americans were distilling it in the 17th century, when it became a point in the infamous “triangle trade” that also involved England, Haiti (or Hispaniola) and West Africa. Molasses, from the sugar cane grown in the Caribbean, was shipped to New York or Boston, where it was distilled into rum. The rum went to England, to be bartered for cloth, beads and other trade goods. Those goods went south to Africa, traded for human beings who then embarked on the so-called middle passage to the West Indies, or to the U.S. Rum is a good drink with a bad history. Distillation of rum, to over-simplify, is a process by which molasses, or just sugar cane juice is heated to a boiling point, and the vapor (steam) collected. The vapor is then cooled, returning to alcoholic liquid. 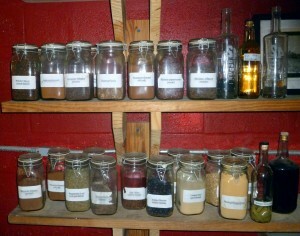 Flavors can then be added, as well as water to produce the desired volume of alcohol. 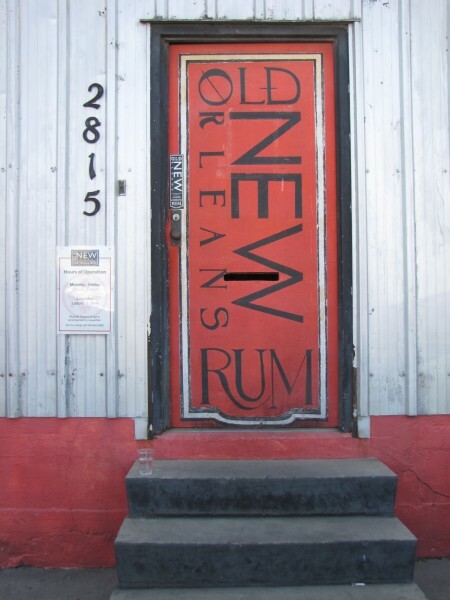 The Old New Orleans Rum offerings, like most rums, usually are 80 proof, or 40 percent alcohol. That liquid then goes into barrels to age and to become less fiery in the mouth. Michalopoulos, 60, does not spent much time at the distillery. He is an artist, travels in Europe a lot. He’s represented by galleries in New Orleans and in Burgundy, and he was the art director for the House of Blues in its early days. He is an abstract artist who uses bold colors and strong brush strokes, many showing New Orleans buildings in slightly off-center poses. He also designed the posters for several New Orleans Jazz and Heritage Festivals. Old New Orleans makes four different rums, led by its 10-year-old Special Edition, the survivor of Katrina, at $100. Others include Cajun Spice ($38), Amber($36) and Crystal ($32). The Special Edition earns high marks because a decade of age has made it smooth and if hurricane survival skills add to its personality, it has many of those. The unfiltered rum is delicious, dark and rich, with lovely overtones of molasses, its key ingredient. The former whiskey barrels in which the rum is aged add a hint of oak which is most pleasant and there’s a touch of apple in there, too. It’s an elegant sipping drink, straight or on the rocks, and it can serve as the starting point for a wide variety of rum-based cocktails. Cajun Spiced rum, with a golden-brown hue, is mixed with iced tea and served in the tasting room as a house sample. A little cayenne, some cinnamon, cloves and ginger are in the blend, and the addition of allspice even brought a flash of memory of apple pie. It’s not quite as smooth as the older rum, but very tasty. Amber, a blend of three rums aged three years, is ideal for a cocktail based on dark rum. Lots of molasses and vanilla in the nose, and three years in oak barrels brings some additional flavor. Schonekas said they had experimented with several different types of barrels, but found that those used to age whiskey brought out some of the deep, even nutty flavors in the rum. Crystal, as the name suggests, is clear as glass , a lighter beverage designed to go with a mixer or in a cocktail. Some vanilla has been added, and it shows up in both aroma and flavor. 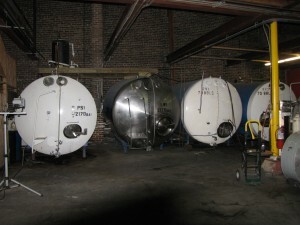 Old New Orleans uses two different traditional distilling techniques, pot still and column still, named for the shape of the equipment where the distillation takes place. Both stills are old, made partly from aged and salvaged equipment, and look as if they were as old as the building. Schonekas says that, in his opinion, the rum from the two different stills is smoother than that from either one, though he had no scientific explanation to defend his opinion. That’s an amazing story. I’m glad to hear they are surviving. The Cajun spiced rum sounds great. I just love what you say in your blog, and I will recommend your nice blog!